Completing an ambitious project is anything but easy in a perennially developing countries like Nepal, which have weak institutional capacity resulting from natural disasters and years of political instability—call it a management disaster—resulting from both domestic and external factors. Struggling to overcome the effects of the decade-long insurgency and prolonged unrest in the southern plains, a mega-quake-struck Nepal is not that far from another Big Day—the completion of the first phase of the Melamchi Water Supply Project that will bring in 170 million liters a day (MLD) of water to valley denizens. Project completion will be a true tribute to former prime minister and late Nepali Congress leader Krishna Prasad Bhattarai, who dreamt of supplying enough water to Kathmandu Valley denizens and cleaning valley streets with Melamchi water. Any project has to grapple with risks during different stages and Melamchi is no exception. In this article, yours truly will dwell on some important risks associated with the project, which have come to the fore in course of several discussions. and II will be next to impossible. Despite sustained violence it has witnessed over the decades, Nepal remains relatively free from terror attacks. Nonetheless, in a bid to bring a country to its knees or to cause state failure, various elements involved in overt/covert wars against the state, including terrorists, can target its vital infrastructure. Can we rule out such attacks on our infrastructure? If we can’t, how do we deal with them? By praying to Lord God? Should we not have fort-like arrangements in place to prevent such attacks or ensure minimum damage if they indeed take place? How about studying project security arrangements seriously and developing our own layered security cover? Poisoning is another formidable risk that Melamchi has to factor in while putting in place a credible security mechanism. Have authorities concerned conducted any study on this? If not, what are they waiting for? As of now, agencies concerned, including the Project Implementation Directorate, have human resources required to look after the project. But what happens after the handover of the project to the Kathmandu Upatyaka Khanepani Limited? As of now, KUKL does not have the required human resources. The government needs to provide all possible support, financial or otherwise, to empower KUKL and enable it to run the project in due course. While talking about risks associated with the Melamchi project, let us look into some environmental factors as well. 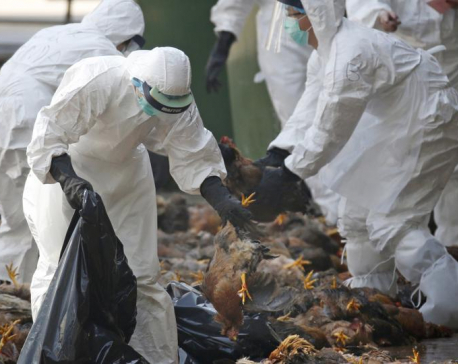 Pesticides from nearby farms can seep into the Melamchi, posing a serious threat to populations relying on its water. What plans are in place to prevent this seepage? GOK? The risk of landslide is also there. Mudslides not only contaminate water, they also increase the cost of maintenance and reduce the lifespan of vital infrastructure. How about planting trees on the project site and the vicinity, for landslide and flood control as well as for beautification? After completion of the first phase of the project, the government plans to channel Yangri and Larke into the Melamchi and supply an additional 340 MLD of Melamchi water to parched valley denizens. But experts say this is easier said than done. During the dry season, they say, even if we channel the whole of Yangri and Larke waters into the Melamchi, the discharge will be less than 2 cu m/sec. What does this mean? Simply put, it means bringing in 510 MLD of water to the valley after the completion of Melamchi Phase I and II will be next to impossible. Let’s hope and pray hydrological data present a better picture, despite global warming, glacial retreat and dwindling rainfall. An afterthought: Do we have hydrological data to understand this problem better? Water supply projects like Melamchi require huge quantities of chlorine for water treatment (purification). Absence of a chlorine manufacturing plant in the country means we have to rely on imports. What if chlorine supply comes to a halt due to, say, a blockade or other supply-related obstructions? The effect will be disastrous, with millions of people without water. How do we deal with such a contingency? By starting chlorine production on industrial scale, as soon as possible? Easier said than done, isn’t it? 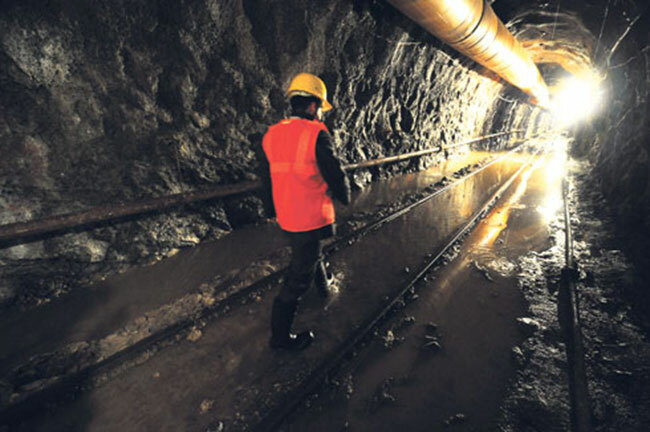 Components like the Melamchi tunnel will require frequent cleaning. This means Melamchi water supply will come to a halt in the valley, probably for days on end during such clean-ups. How will authorities deal with the crisis resulting from a halt in water supply? Poor institutional capacity is another risk that may haunt the country as it struggles to complete vital infrastructure projects well beyond the deadlines. Due to environmental activism and perceived/real lack of institutional capacity, we failed to develop the Arun III hydropower project and address the perennial energy crisis. But we hardly get to hear from such activists when a foreign company is gearing up to turn it into an export-oriented project. Is it a shining example of vested interests at work? Melamchi has not been a very good example of our institutional capacity, though the blockade, the mega-quake and prolonged political instability may all have played a role in delaying it. If we are to bring in more foreign aid/loan for our vital projects, we surely need to improve our institutional capacity, drastically. In the end, no project can succeed without support from host communities. With the country on the federal path, local populations will surely want increased control over their lifelines—natural resources in their villages/states/provinces. Host communities will have increased expectations, especially from ambitious projects involving inter-state transfer of water and electricity, among others. How will authorities manage such expectations? In the federal setup, success of projects like Melamchi will depend on how we manage local expectations.